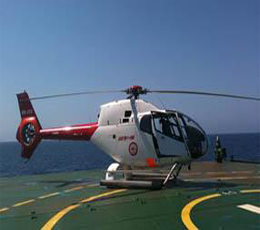 Until the use of helicopters was introduced harbour pilot boats and launches were the only and often hazardous way of getting a maritime pilot on board a ship entering or leaving harbour. Pilots were used to spending up to three-quarters of their duty time being ferried around in launches, which clearly was an expensive way of doing things. Helicopters have for a number of years been increasingly employed to do the job, both by day and by night, in the interests of safety, speed, cost- effectiveness and efficiency. 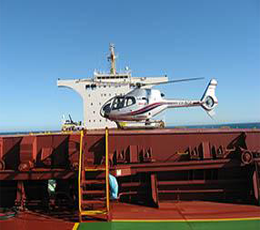 Jayrow's current operation at Port Hedland provides a service 24 hours a day/ 7 days a week and supports the Port Hedland Port Authority with an ever increasing number of ship movements per annum.